- Quality building built in 200t with abundant parking. 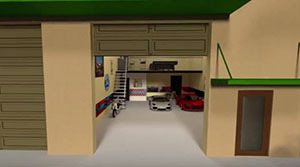 - Two story with drive through. Located just West of I75/Rt 64 Interchange. 20 foot ceiling height, free span. 1500sf office. This strip center is ideal for flex space with retail in front. Good layout for a gun range and gun shop,, The bays are currently joned together but can be split into 1500 sf shopes All units have A/C and Lavatory and overhead door in the rear. Plenty of parking. Four 1500 sf spaces for sale and one 2,709 s ft spaces. Offered at $126/sf Units can be combined for one 8800 sf space. An additional 1510 end cap is available. Broad commercial intensive zoning allows a broad range of possible uses. The subject is across from Walmart on Taylor Road and Jones Loop Road, Site plan approval for free standing bank, or restaurant. 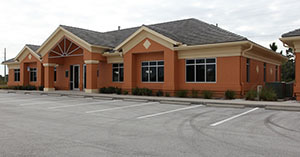 Close to hospital, plenty of parking, Impact Fees already paid, This office is ready to move into. Good traffic location easy in, easy out. Near Charlotte Regional Medical Center with 208 Beds, Corner location on Marion and Scott Street. Convenient access to Punta Gorda and I-75. Two new New Steel Construction free span buildings, 20 foot ceiling height. 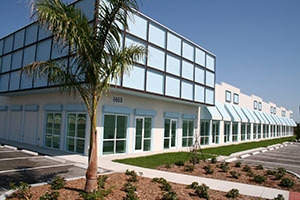 Located in Benchmark Industrial Park, Fort Myers. Completion end of fourth quarter 2017, Unit 4675 is 11000sf and 4663 is 10,000sf. Rendering may differ slight from final product. 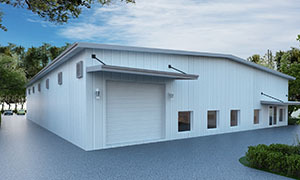 First building has two loading docks and 1000sf office. Some changes can be made. Developer will also lease at $6.5/sf NNN. 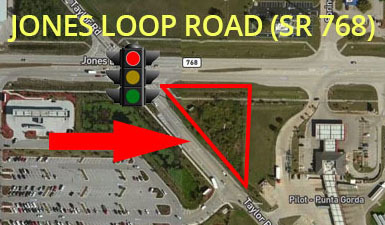 Easy Access to Interstate I 75 at State Route 82. Exit 138. 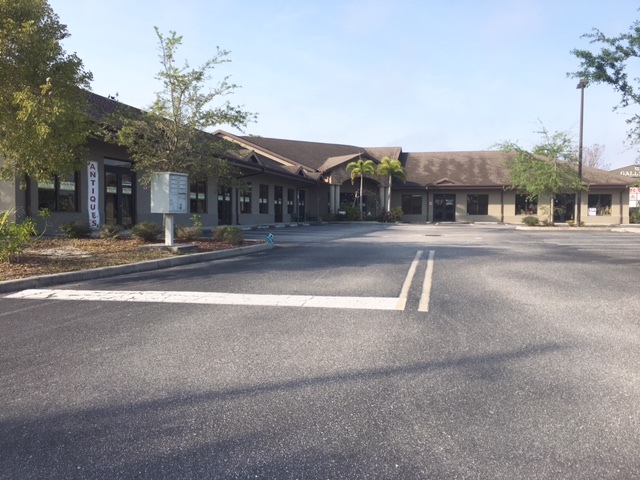 Medical/Office Condo Downtown Punta Gorda, Florida 986 sf with large reception area and four exam rooms. Ready for immediate occupancy. Excellent parking. Adjacent space also available if larger unit required. 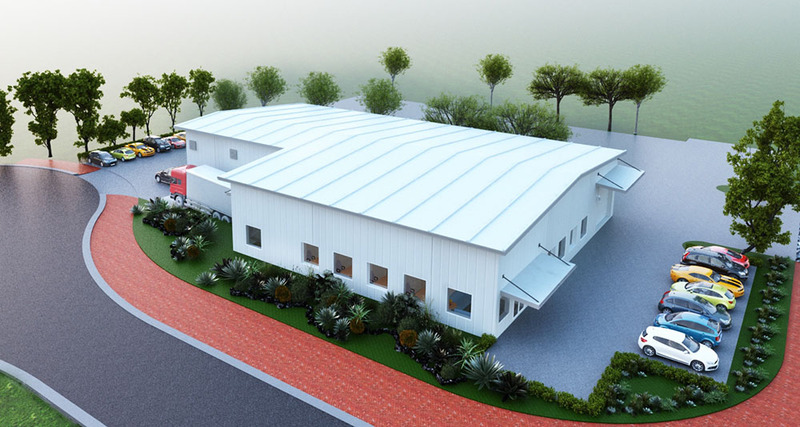 Permitted office/medical building. Owner will build-our for quality tenant with a minimum lease of 5 years. 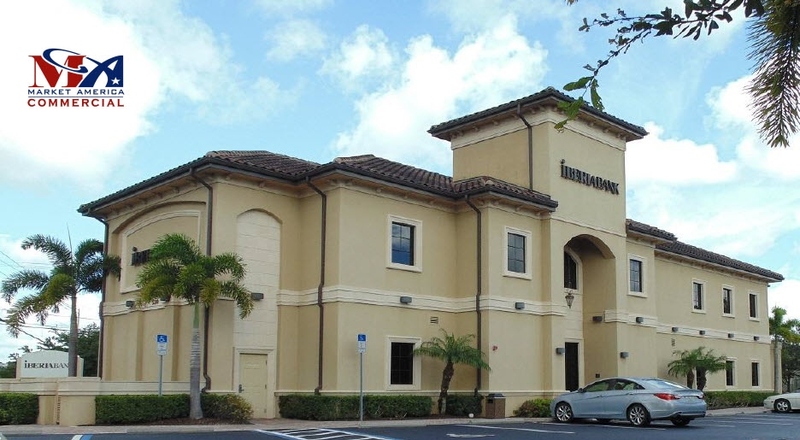 Trusted Professional Park is a quality professional complex permitted for nine buildings with lease or purchase spaces of 1,500 sf to 4,000 sf. 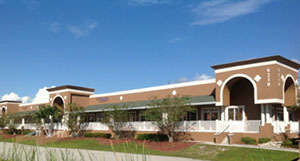 Park has three completed buildings and impact fees paid for the additional six buildings. The park improvement of parking, lighting, storm water retention are all completed and ready for building construction. 5220 Lee Boulevard between I-75 and Lehigh Acres downtown. 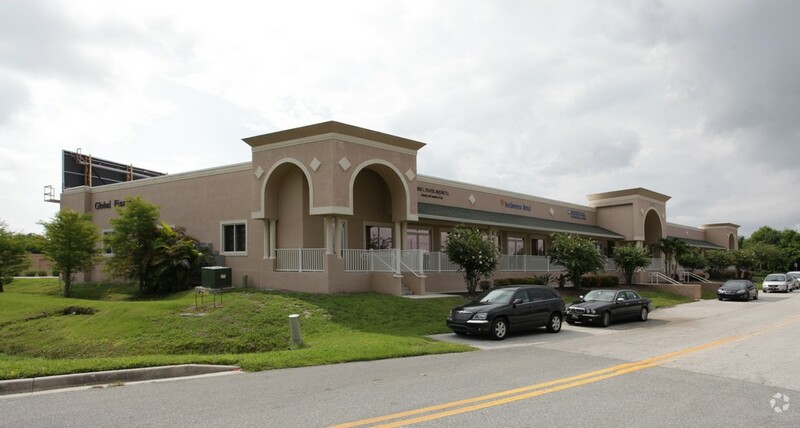 Ideal location to serve the Lehigh Acres community. 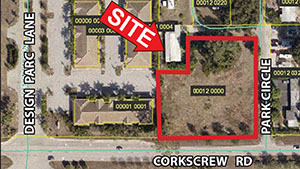 1.17 acre site with 235' of frontage on Corkscrew Road. Zoned CPD for retail, office and medical with an active development order for a 10,136 sf building with 50 parking spaces. The site is located between US 41 to the west and I-75 to the east. A prime area of medical and professional firms. The site is cleared and ready for development and is served by Lee County sewer and water.